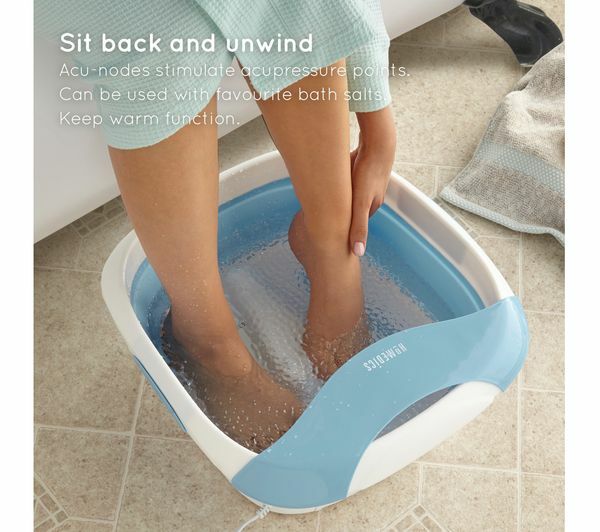 Give your feet the spa treatment in your own home with the HoMedics Foldaway Luxury Foot Spa. 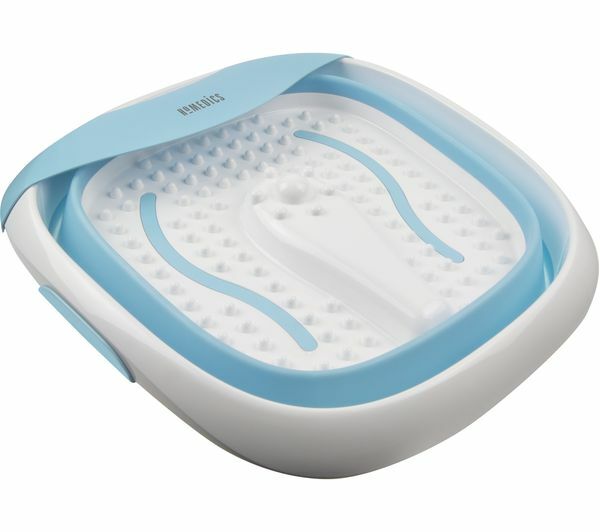 It provides a vibration with acu-nodes to help stimulate the soles of your feet. 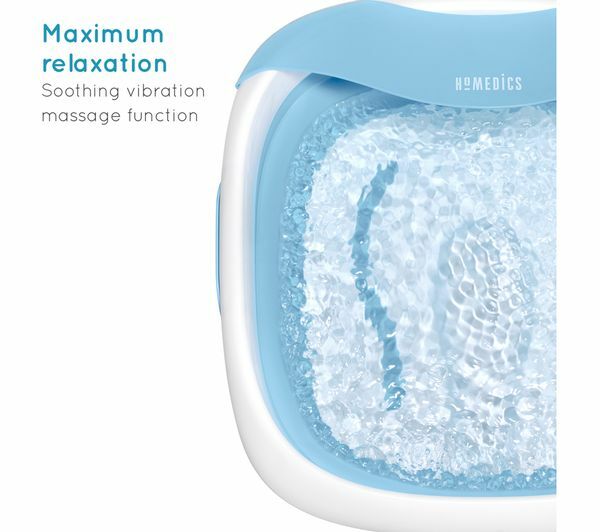 It works great with bath salts too, adding a calming aroma to help you relax. 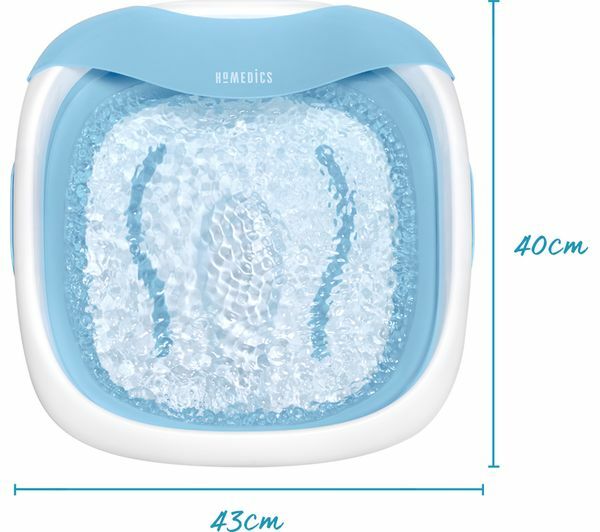 The keep warm function kicks in straight away, so the water stays soothing until you're ready to switch off. 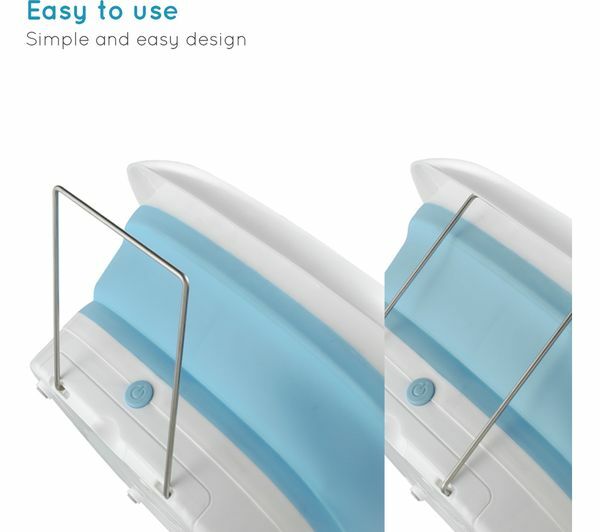 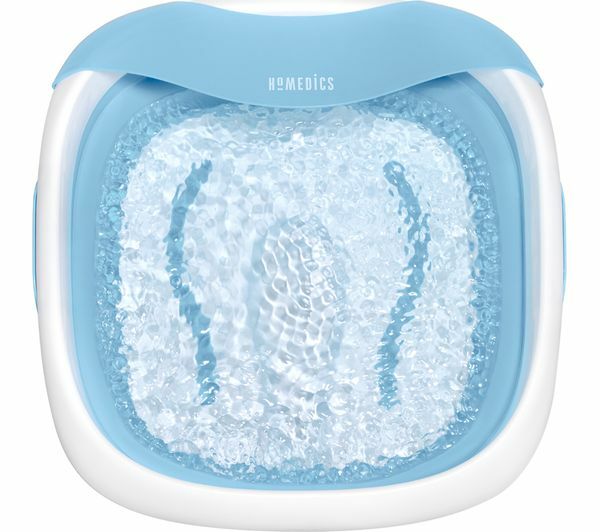 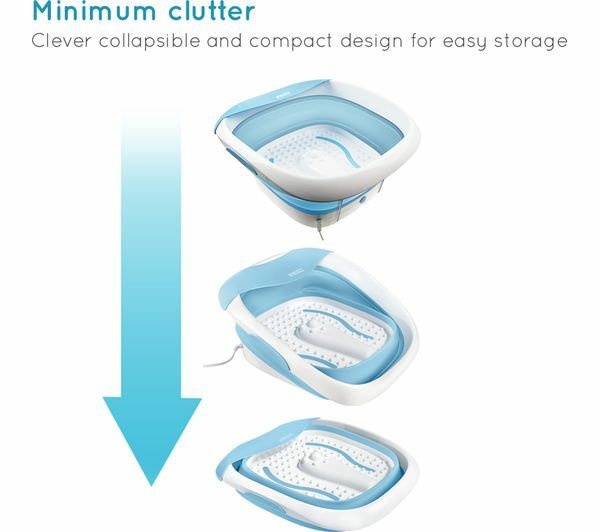 The clever HoMedics Foot Spa collapses when not in use, making storage simple. 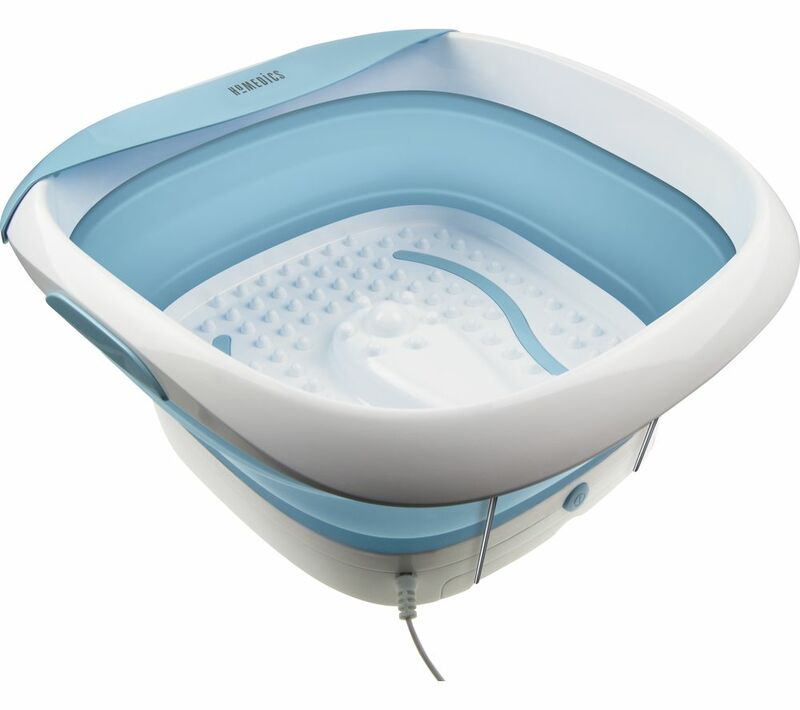 There's also an easy-pour spout, so you can empty the water without soaking the floor when your treatment's complete.